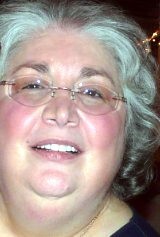 Denise Loughran Harriman, 71, of Brockton, passed away Jan. 18, 2019 after a long illness. Native of Philadelphia, daughter of the late Dorothy and Joseph Loughran, she began a career in banking that brought her to Massachusetts where she met and married Barry A. Harriman on March 11, 1972. Denise retired as assistant vice president of the Mass Bank and Trust Main St. office in Brockton. In addition to Barry, Denise is also survived by a sister Deborah Loughran of Philadelphia. All are welcome to a calling hour Friday, Jan. 25 from 4 to 5 p.m. and a prayer service at 5 p.m. in Waitt Funeral Home, 850 North Main St. Brockton. Private burial at Melrose Cemetery will be at a later date.